One in every 4 deaths in the United States is caused by heart disease, the leading killer of both men and women nationwide. While we hear a lot about preventing heart disease with a healthy lifestyle, structural heart disease is caused by defects of the heart structure itself—sometimes present from birth, and sometimes due to gradual wear and tear over time. Abdul Moiz Hafiz, MD, interventional cardiologist and assistant professor of medicine at the Southern Illinois University School of Medicine, is particularly excited by advances in the treatment of these conditions. During the past decade, the Food and Drug Administration has approved several devices that are less-invasive options transforming outcomes for patients. Patients at Memorial Medical Center where Dr. Hafiz practices are already benefiting from these devices, all of which are implanted via small punctures in arteries and veins, eliminating the need for open heart surgery. Transcatheter aortic valve replacement (TAVR): A catheter is used to implant an artificial heart valve. 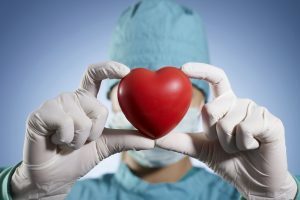 It’s often used for patients who are not candidates for traditional heart surgery due to age or underlying medical conditions. It can greatly improve quality of life and extend life expectancy. WATCHMAN: This permanent implant is used for patients at risk of stroke due to atrial fibrillation, a condition that can cause blood to collect and clot in the left atrial appendage. The device closes off this small area of the heart and prevents clots from traveling to other parts of the body. This device is best suited for patients who cannot take blood thinners. PFO occluder: It prevents blood clots from traveling from the right side of the heart to the brain and decreases the risk of future strokes. This is used for patients who have had a stroke with no underlying cause except for a patent foramen ovale (PFO). This condition is found in up to 20 percent of adults. MitraClip: This small device clips the leaflets of the left-sided mitral valve in patients with severely leaky valves who are too high-risk for open heart surgery. Dr. Hafiz said such advances demonstrate that patients can overcome a diagnosis of heart disease. But he reinforced that prevention is still the best approach. Learn more about Memorial Heart & Vascular Services.